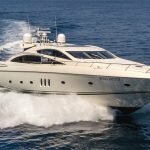 An Italian yacht charter doesn’t just promise sun, sea and luxury: for many, it is also the ultimate opportunity to shop for the high-quality leather Italy is famed for. Italian leather is widely considered the very best in the world, with a tradition of first-class craftsmanship that means only the best quality hides are used in its manufacture. That is why it is often a priority for yachting clients when chartering in Italy. But for those not in the know, it can be difficult to find the best places to buy it. That’s why we’ve pooled our local knowledge to bring you three of the finest leather shopping locations (and their nearest marinas, of course). 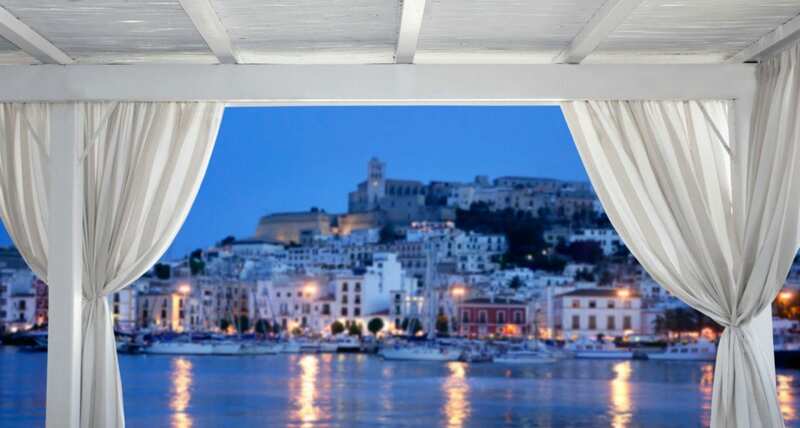 Treat yourself to only the best whilst sailing around the gorgeous Italian coast. How could we write about Italian leather shopping and fail to mention the global capital of fashion and design? When chartering a yacht in Italy bustling Milan may not be first on your list for relaxation, however it is less than 45 minutes by helicopter from Portofino. Get inspired at Via Montenapoleone, where shoppers can indulge themselves with a range of major high-end fashion labels and purchase leathers that are straight off the catwalk. 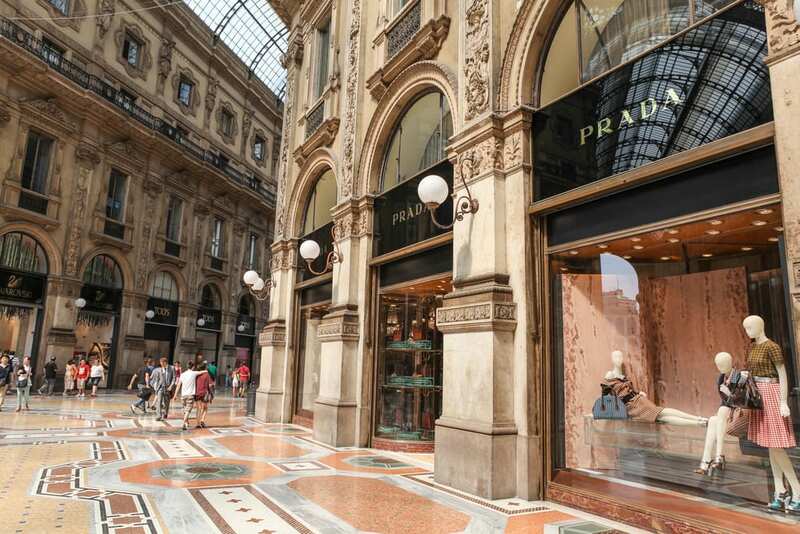 Then wind your way to the historic Galleria Vittorio Emanuele for a more boutique experience in Italy’s oldest shopping centre. 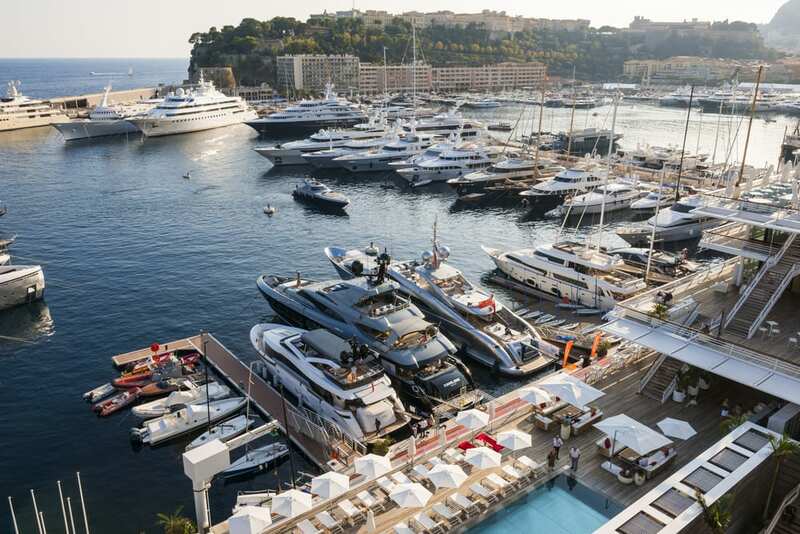 Drink in the majestic 19th century architecture whilst selecting one-of-a-kind leathers before returning to your yacht. Florence’s vast marketplaces are what makes it such a popular place to buy leather, but they can also make shopping here somewhat intimidating for non-locals. 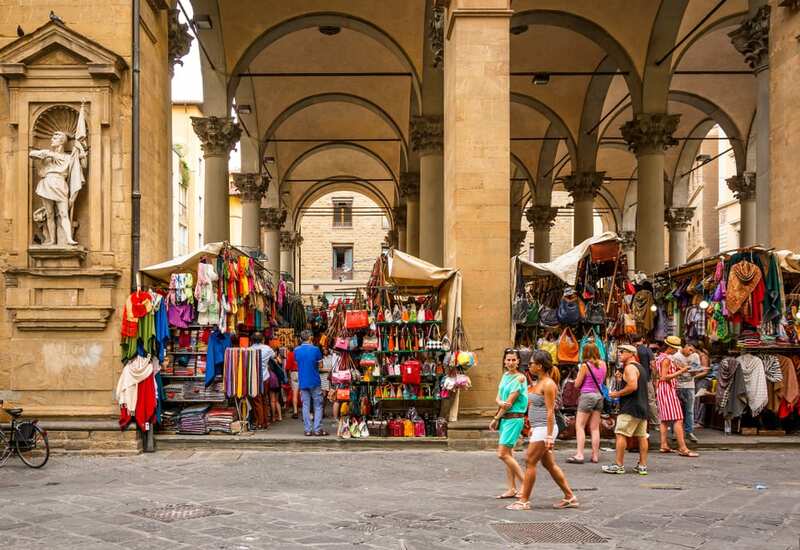 Both San Lorenzo Market and the beautifully old-fashioned Mercato Nuovo boast a variety of street vendors and retail stores selling leather items ranging from high to low quality. This means it is up to the purchaser to decipher the truly exquisite Italian leather from the truly average. However, for those brave shoppers who are up to the challenge, the rewards are definitely worth it. Savvy consumers can save a considerable amount on unique items. For those who would rather a calmer shopping experience, Florence can also offer a range of boutiques and designer stores including the illustrious Gucci Museum. Florence is an easy day trip from the seaside port of Viareggio on your Italian yacht charter. Genoa is often named as the best shopping destination in the region of Liguria, famed for its range of specialty goods including jewellery, ceramic pottery, handmade lace, velvet, carved olive wood items, and marble stone goods. However, Genoa also is home to some of the best leather shoe shops on the Riviera; a serious accolade considering the general high-standard. Here, shoppers will find a number of boutiques offering custom-made leather footwear for every style and desire. Try out Cuoio Rocca for chic leather products with 20th century history, or Salvatore Ferragamo for exquisite craftmanship. 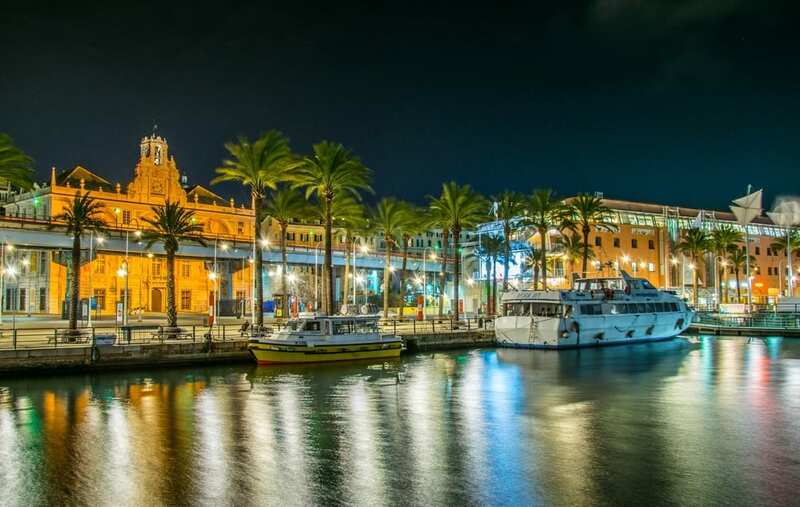 Marina Porto Antico, one of the most authentic marinas in Italy, offers the perfect place to stop off on your Italian yacht charter, centrally located in Genoa and full of historic charm. 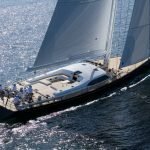 MY OCTAVIA: The Italian yacht charter of your dreams? 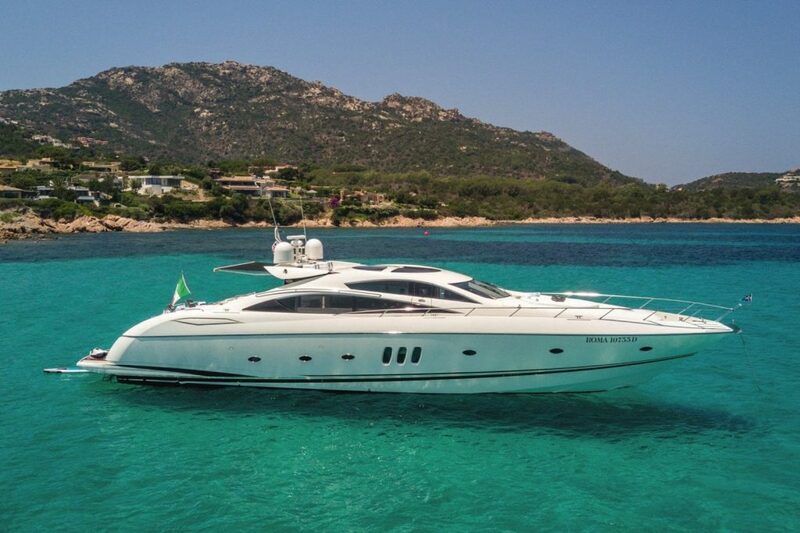 The 25-metre Sunseeker 82 OCTAVIA motor yacht is the perfect way to experience all the luxuries the Italian coast has to offer. Juxtaposing sportiness and elegance, OCTAVIA allows charter guests to drift between ultimate relaxation and retail therapy without breaking a sweat. 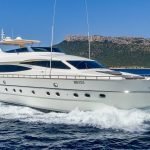 Launched in 2006, she has recently undergone a thorough refit by the well-known English shipyard and now boasts modern features alongside exquisite design detail. 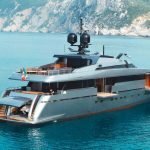 Guests can enjoy a large sundeck for soaking up sun rays on their Italian yacht charter, with the beach hydraulic stern offering easy access to the sea. Inside a grand, light-filled lobby (equipped with its own sunroof) awaits guests, complete with a dining table and relaxation sofa. Four large en suite cabins make the vessel extremely comfortable for up to 8 charter guests. This striking yacht also offers the best tenders and toys for the thrill-seekers onboard, including a Jet tender Avon, a jetski SeaDoo, a Seabob and snorkeling equipment. 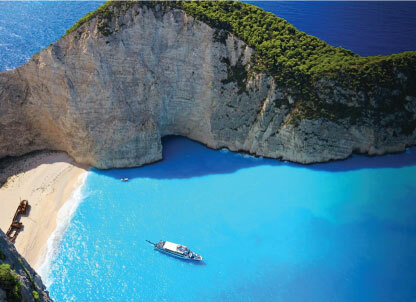 Up to 3 crew can join you on your Italian yacht charter to ensure a relaxed, luxury experience. OCTAVIA is based in Porto Cervo (with berth included) and can be moved across central and southern Italy, primely located to take you to all the best leather shopping spots on your Italian yacht charter. 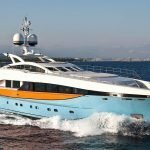 With new generation engines she offers very low fuel consumption at a speed of 23 knots, offering a truly unique cruise. Want to find out more about how you could incorporate leather shopping into your luxury yacht charter ? Get in touch today and we will design your vision. Our expert team is always happy to help. Your exquisite leather collection awaits you!